Welcome to our Mountain Bike Trails and Maps page! We always get a lot of inquiries regarding different mountain bike trails in the region. We appreciate you looking toward us as your local experts for information, and have compiled a handy list of the most-asked about trails – complete with basic info, routes and maps – for you. Of course we think the best way to explore the trails is with a guided tour. Cog Wild tours are designed to maximize your time and fun on the trail. 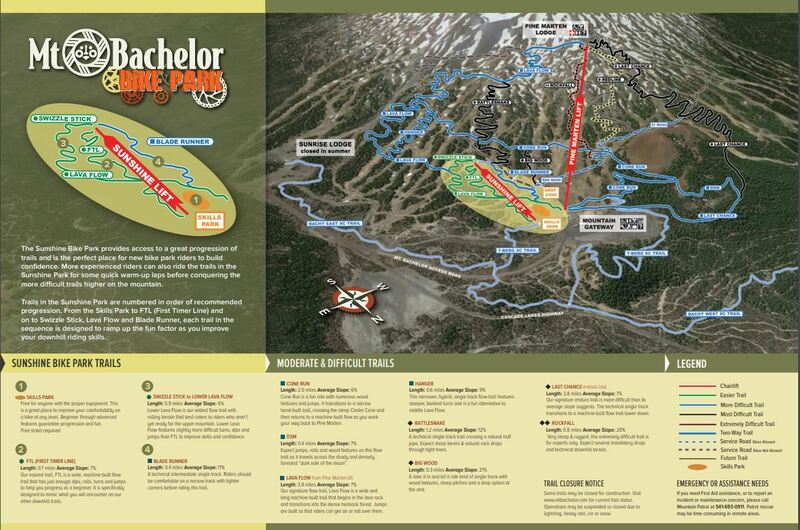 That means – no getting lost, no getting in over your head, and easy shuttle access to the best trails. But – we know tours aren’t for everyone, and we totally respect that. We still want you to go out and play, so we hope this information helps you have fun and stay safe. Please note, the info provided is merely a suggestion – we recommend always having a paper map with you (we recommend Adventure Maps and sell them in our office), or using a reliable resource like Trail Forks or MTB Project while out on the trail. Join us in for a mountain bike ride in the Deschutes, Umpqua, Mt Hood, & McKenzie National Forests. A few of our great local sponsors include Deschutes Brewery, Thump Coffee, and Humm Kombucha. Cog Wild provides bucket-list worthy mountain bike tours to fun-seekers who want to maximize their vacation and feel alive. Our brand of expertise comes from years spent in the saddle. We are proud stewards of the sport of mountain biking and Oregon’s trail systems.